Hypertension in pregnancy is one of the major cause of maternal, fetal and neonatal mortality and morbidity in both the developing and developed nations. 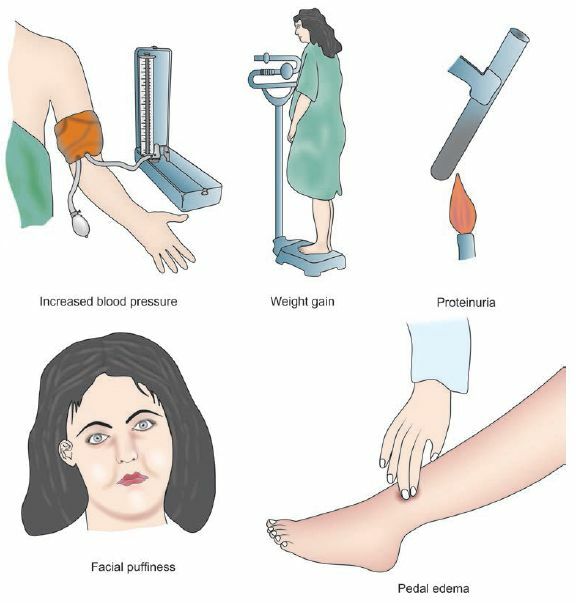 About 10-15% of pregnancies are accompanied by hypertension and if these are detected early and effective interventions are performed, the prognosis is good. The woman should not use tobacco or caffeine within 30 minutes of the measurement. e. Signs of pulmonary edema: Crackles, S3 gallop, etc. Maintenance: 10 mg/hr 10 min It is an arterio-dilator. (max. 300 mg) 5 min It is a Potassium channel opener. Nitroglycerine 5 µg/min IV 0.5-5 min Only used when other drugs have failed. It is a venodilator. Soidum Nitroprusside 0.25-5 µg/kg/min IV 0.5-5 min Only used when other drugs have failed. It is a direct arterial and venous dilator. 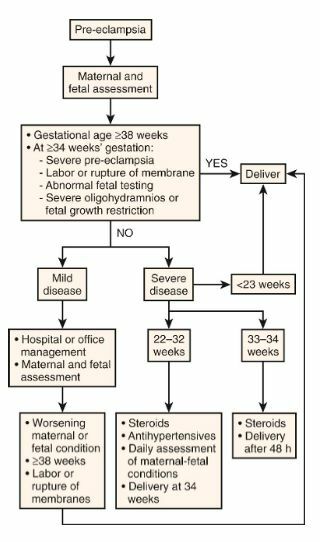 Note: ACE inhibitors and Angiotensin Receptor Blockers (ARBs) are not indicated in pregnancy due to teratogenecity in 1st trimester, fetal renal failure and oligohydramnios. The following investigation to be done on weekly basis: Hematocrit with platelet count, RFT (blood urea; serum uric acid; and serum creatinine); LFT (AST, ALT and LDH) and ophthalmoscopic examination. This article is only for academic purpose and should not be used as a medical advice.